The Vegas Strip, four miles of opulence, glamour, flashing lights and entertainment, will leave you immediately enchanted. Las Vegas, Nevada originally got its start as an adult playground, but has reinvented itself in recent years to be a family-friendly vacation travel destination. Some notable places to take the kids in Las Vegas include Madam Tussaurds Wax Museum (near the Venetian Casino), the Lion Habitat at the MGM Grand, the Manhattan Express Roller Coaster and Coney Island Midway at the New York New York Casino, and the spectacular fountain shows at the Bellagio. Don’t forget to stop by the Secret Garden and Dolphin Habitat at the Mirage while you’re in town. We found sensational Las Vegas hotel deals and discount lodging throughout the state. 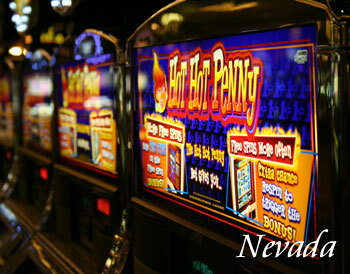 Follow the links below for the lowest priced lodging in Nevada. Contact us to feature your Nevada hotel or lodging property. Las Vegas Hotels and Casinos are famous for luxury and style. Sheldon Adelson’s breathtaking mega-resort combines the latest technology, truly mammoth scale and the venerable art and culture of the European jewel. The Venetian’s take on Venice is a must see. Complete with a 120,000-square-foot casino, 17 restaurants, the 63,000-foot Canyon Ranch Spa Club and more than 50 shops, the Venetian oozes luxury on all levels.